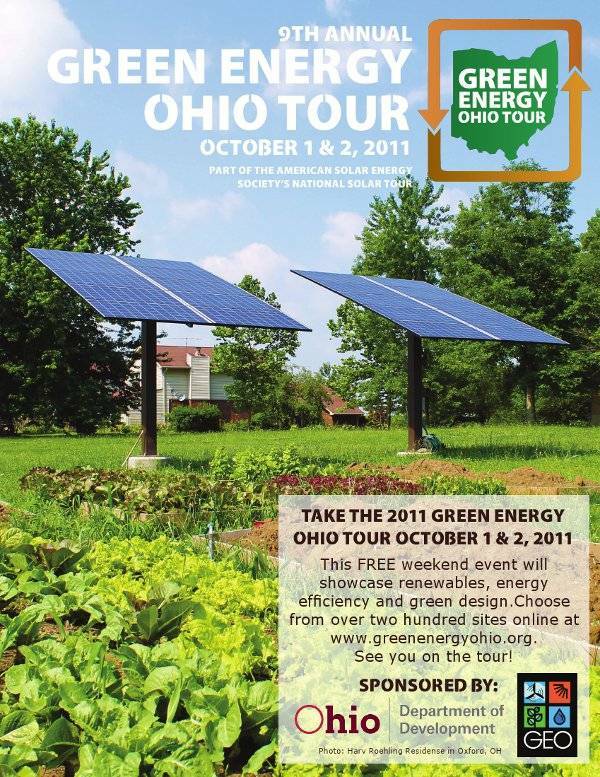 Get ready for the 2011 Green Energy Ohio Tour which takes place Oct. 1 and Oct. 2. The tour features a wide variety of renewable energy systems across the state. If you are considering adding solar to your home or business this is a great opportunity to talk with those who have already invested in these technologies. You can find a lot more about the Solar Tour on the Green Energy Ohio website which is also where you can build your own tour and find sites across the state to visit. This tour is very large as it covers 260 sites in 137 communities across Ohio. Thankfully, Inspiramental Co. is well represented at this years Ohio Solar Tour in the Dayton, OH area. Here are some links to jobs that we have participated in. http://www.greenenergyohio.org/ost/siteDetail.cfm?site_id=979 Margaret’s Circle Farm – Brookville, Ohio - Sam and Robin Garber, owners of Inspiramental Co. are going to be at this site on Sunday October 2nd from 1-4 for the Green Energy Ohio Tour. Feel free to stop out and visit with them. We were also excited to find that Green Energy Ohio used our solar electric installation in Oxford, Ohio for their event flier!